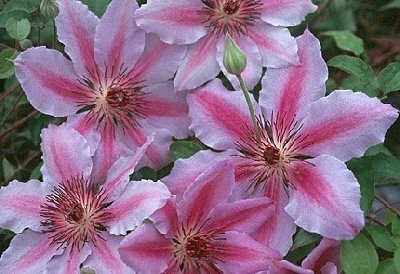 Nelly Moser Clematis: heirloom clematis with pink and white flowers. Nelly Moser blooms and blooms and blooms. and you'll fill your yard with early season pizzazz!